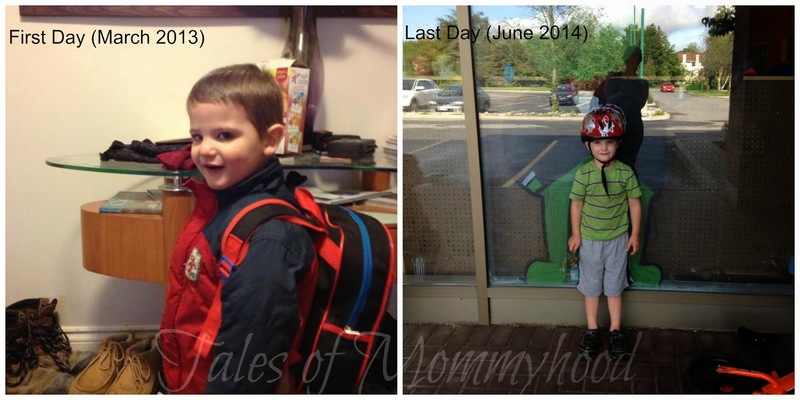 Oh man, they grow entirely too fast :-( My little guy is finishing up his first year of JK next week. I am already a bit emotional! WOW!! They grow so fast! What a huge change in only a year! It's like they grow up overnight! He looks SO different from only a year ago! What a cutie pie! There is nothing like the last day of school, yippie! Love those photos! My oldest son starts SK this September. Aw time just flies, doesn't it? Happy start of a new school year!